First, I’ll say I’m sorry about missing last month’s post. It’s been one of those months around the old blog, I’m afraid to say. I’ve packed up home and hearth into storage yet again and have moved in with an old friend to save money while I look for work. After what can only be truly termed a Move from Hell, I am now situated fairly well enough to pick up the blog from where I left off. 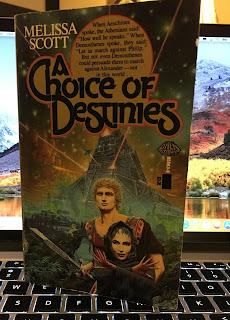 That being said, I now turn to the subject of this month’s post, a book by Melissa Scott, A Choice of Destinies (1986). Its subject is an intriguing alternative take on the life of Alexander of Macedon, more commonly known as Alexander the Great. Considered one of the greatest military commanders in history, Alexander was born in Macedonia in 356 BC. He succeeded his father Phillip II to the throne at age 20. Over the course of the next ten years, he went on to build an empire stretching from Egypt to the Indus River, only stopping when his homesick troops refused to go further. 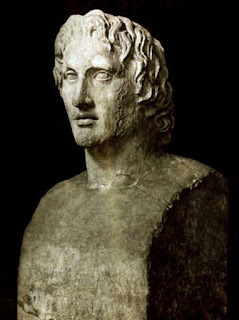 History records that Alexander the Great died in Babylon in 323 BC, without leaving an heir. Afterwards, a series of civil wars tore the Empire apart, leaving the road clear for the rise of Rome. In A Choice of Destinies, Scott asks what if Alexander didn’t go into India, but turned back west, to firm up his Empire and take on and conquer Rome? The result is a world-spanning Alexandrian Empire that continues to the modern day, which is probably a more than a little unrealistic. It’s yet another example of the space filling empire trope where a given alternate history country or empire spreads out to cover the world, and then the stars. We’ve seen a more than a few of these in the genre literature, so while it’s a little unimaginative, we wink at the conceit and go along for the ride. Now is A Choice of Destinies a good book? Ultimately, it is, warts and all. 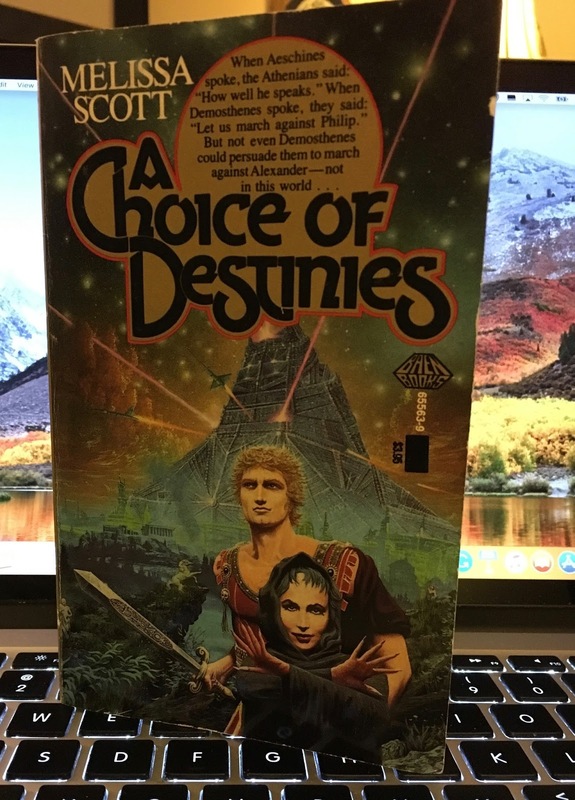 Author Scott kept me sufficiently engaged with a series of flashbacks that move in and out of the main narrative of how Alexander built his alternate empire. It’s definitely worthwhile keeping your eye out for on your next trip to your local used bookstore. The holiday season is upon on us, so I hope to stock up on a few genre books that I can review for you in the New Year. The New Year also brings the promise of Season Three of The Man in the High Castle, so watch this space for further developments in that area. In the meantime, may I extend to you and your loved ones my best wishes for the holidays and a safe and prosperous New Year.